As Pakistan grapples with news of political turmoil, corruption cases, judicial activism, terror attacks, war drums with India, the looming FATF sword, Bilawal Bhutto has made quiet but swift political strides as a dark horse. Son of former Prime Minister Benazir Bhutto, and grandson of Zulfiqar Ali Bhutto, he made many early false starts in politics after his return to Pakistan from the United Kingdom in 2010. His political maturity was in full display during his recent remarks after India’s air strikes on Balakot. As the chairman of the Pakistan Peoples Party, Bilawal Bhutto walked the tight rope. He lauded the Imran Khan government for its de-escalation effort, and the opposition for standing with it and showing a united front to the world. Then he added: “None of the opposition members joined Difa-e-Pakistan and held rallies against the government, none dared calling Imran Khan a security risk for trying to make peace overtures to India.” This was a sarcastic reference to what was done to previous prime ministers including Benazir Bhutto and Nawaz Sharif. He praised the Pakistani pilots and the victims of the recent strikes between Pakistan and India, flayed Indian Prime Minister Narendra Modi for everything from the Gujarat riots to the horrific human rights violations in Kashmir, said that the Pulwama attack was entirely different from the one to Mumbai – as one that was a violent reaction of a people brutalised by state terrorism. And then he questioned Pakistan’s policy of allowing non-state actors to decide the fate of nations. He asked: “What the hell is mainstreaming?” He asked how can Pakistan hang, exile and jail its elected prime ministers, but not try members of banned organisations; how can it hold the opposition accountable but not banned organisations. 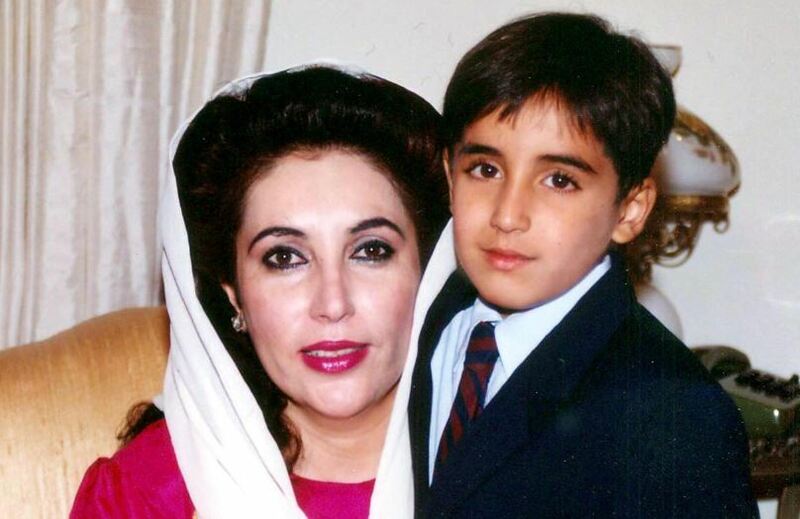 For a long time, political observers did not take Bilawal Bhutto seriously, despite him carrying the courage and charisma of his mother and grandfather. He was dismissed and repeatedly undermined as his father Asif Zardari’s shadow. He had a couple of ‘political launches’ but the rug was pulled from under his feet because of political differences with his father, the de-facto leader and then chairman of the Pakistan Peoples Party (PPP). Ascending to the PPP throne courtesy a purported will left by the assassinated Benazir Bhutto, it was an underwhelming start for Bilawal. But since his entry into parliament in the 2018 general elections, Bilawal Bhutto has caught Pakistan’s attention by exhibiting what appears to be a natural flair for politics. He is trying to deftly fill the vacuum left by the largest opposition party, the PML(N), and the leader of opposition, former Punjab chief minister, Shahbaz Sharif. Bilawal Bhutto’s true rival, Maryam Nawaz, daughter and likely successor of former PM Nawaz Sharif is missing in action, having been disqualified to contest the 2018 elections and jailed, and now on bail but still uncharacteristically quiet. The entire PML(N) leadership appears to be paralysed and is not playing a real oppositional role (for some unknown reason), and Bilawal Bhutto has happily glided into the role and is making good use of it. The real opposition to Imran Khan and his government is coming from Bhutto, inside and outside of parliament. A stark contrast to Imran Khan and his supporters’ distasteful language and baseless accusations against opponents, Bilawal is displaying acumen, wit and knows how to disgrace with grace. The first session of parliament after the election on 17 August, 2018, set the tone. PM Imran Khan marred his own first speech in the house with a temper tantrum, launching into a harangue of accusations about loot and corruption by opponents, calling them ‘dakus’ (robbers), of taking revenge, of not ‘giving an NRO’, of ‘sirf char halqay’, and then descending into the usual cricket references and a bluster of me, myself, and I. He looked small. Roughly half Khan’s age and entirely inexperienced, Bilawal Bhutto deliveredhis maiden speech – responsible, elegant and leader-like in tenor. He touched all the issues the prime minister should have: the road map for Khan’s magnificent election promises, economic and foreign policy challenges, the need for introspection on violent extremism the country harbours. He even spoke of the political workers – from all the parties – who died in election violence. Bilawal Bhutto spoke courageously of Pakistan not having learnt from history, of elections still being manipulated. And then with sublime finesse, he asked the house to assess “what it had cost (Pakistan) for Khan saab to take this place today”, adding that it had cost the polity its freedom of dissent, of association, of the press, of its fundamental human rights, of mainstreaming extremism, and of weaponising the blasphemy law. Bilawal Bhutto reminded Imran Khan that day that he is now expected to work for all Pakistanis, including those he had dismissively called ‘zinda laashen’, ‘donkeys’ and ‘goats and sheep’. While Khan’s PTI continued to provide cover to human rights abuses against the Pashtun Tahafuz Movement, and all PML(N) leaders stayed quiet, Bilawal demanded an end to these. Whilst Khan remained silent for a full two weeks, and his spokesperson attempted to cover a senior Pashtun police officer’s kidnapping till the discovery of his brutally mutilated body, Bilawal Bhutto continued to question the lack of progress in the case. Apart from adopting a clear moral position, he was playing for the vote of about 33 million Pashtuns of Pakistan. Then, in a gesture that was as widely appreciated, Bilawal Bhutto visited imprisoned former Prime Minister Nawaz Sharif in Kot Lakhpat jail last week. The visit came as reports emerged of Sharif’s fast deteriorating health condition, with mounting evidence of the government and courts not offering him what doctors have termed crucial and specialised treatment. Not only did this move earn Bilawal the gratitude of Sharif’s supporters, but also opened the way for creating the trust required for a genuine joint opposition to Imran Khan. Like a trained performer, he delivers sombre statements on matters of national import, only to swiftly change the subject entirely with pricelessly worded derision aimed at the comical antics of the PTI government such as its attempts to pass a resolution to have Khan nominated for the Nobel Peace Prize, “in the middle of planes falling out of the skies”. The author is a Pakistani columnist and human rights defender.